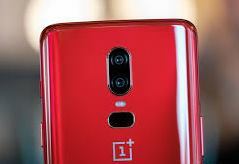 With less than a week to go until its next major launch event, it appears that OnePlus has gained what could be a significant advantage for its next phone, the 6T, in the United States. The company has reportedly succeeded in its application for Verizon LTE certification. About a week ago, reports of OnePlus trying for certification for its upcoming flagship (the 6T) started to surface. Now, at less than 4 days prior to the phone's launch, it appears that they have succeeded. However, this does not mean that the 6T will have CDMA capability. This story may just mean that it is simply more likely to be able to use the carrier's LTE network with no issues. Like many unlocked phones, OnePlus' most recent devices support the wide range of bands that technically give it access to Verizon LTE. However, this network is notorious for failing to support non-provisioned devices. The solution is Verizon certification, which may give non-carrier phones a better chance of using the LTE of its bands (2,4 and 13). The 6, for example, lacks 1 of these (band 13). OnePlus has also secured a partnership with T-Mobile this year to market the 6T in this US carrier's stores. Therefore, it may be in a position to be very competitive in this country. On the other hand, the company may have gone the same way as Razer; the gaming giant claimed to have Verizon certification for its second smartphone. However, this did not pan out at the Razer Phone 2's actual launch.